These four purposes of the new curriculum will form the basis for all future decisions about national and local educational priorities, and underpin all teaching and learning in Wales. The new curriculum for 3 to 16-year-olds will be organised into six Areas of Learning and Experience to ensure a broad educational experience for all children and young people. 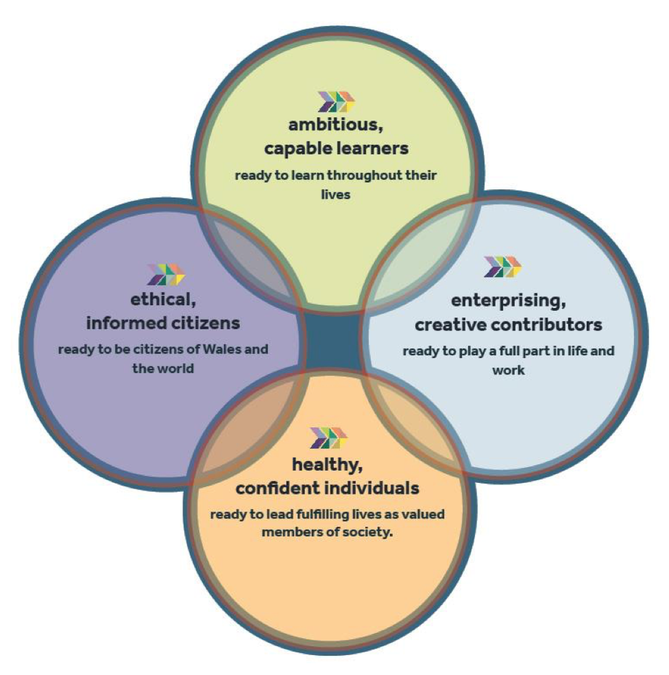 Literacy, numeracy and digital competence are so important to thinking, learning and life that they will be developed and strengthened across the whole curriculum alongside opportunities to develop wider skills and Cwricwlwm Cymreig. Learning will be a continuous experience, building progressively as children and young people grow and mature with a range of Achievement Outcomes. The prospect of the new teacher led curriculum and future of education for our pupils and teachers in Wales has never looked so optimistic and progressive. It will result in teachers being provided with more autonomy to implement innovative and exciting learning experiences for their pupils.